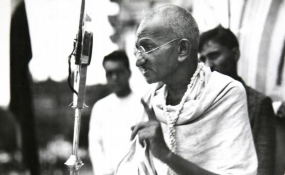 Local activists have intensified their campaign against the decision by the Indian government to erect a statue of Mahatma Ghandi in Blantyre with an online petition, Ghandi Must Fall registering over 1000 petitioners within hours. India requires the statue as a condition for funding construction of the Mahatma Gandhi International Conference Centre, a $10 million infrastructure project which India is replicating in nine African countries. However, residents in Blantyre are outraged by the proposed statue, calling Gandhi "an ardent racist" who had "nothing but contempt for the black African race." Malawian citizens Mpambira Kambewa, Mkotama Willie Katenga-Kaunda, and Wonderful Mkutche launched a change.org petition to garner support for their resistance to the statue. The petition in part reads: "As black Africans-Malawians we will find it very offensive to appreciate the value of the statue when the man himself thought we were inferior. If you erect this statue it will make a mockery out of Malawi's independence movement which fought to extricate 'classism' between black, brown and white races." One of the activists Mpambira Aubrey Kambewa described Ghandi as a racist who never fought for the freedom of black people in Africa. "He is not supposed to be honoured," said Kambewa. The online movement has joined a lot of Malawians who have shown anger over the government decision to allow India erect the statue in Blantyre. City of Blantyre Council publicist Anthony Kasunda refused to comment on the matter.